A May 2017 collaboration between NPR and ProPublica highlighted the prevalence of death and serious illness related to pregnancy and childbirth in the United States. In fact, the U.S. has the worst rate of maternal deaths in the industrialized world. 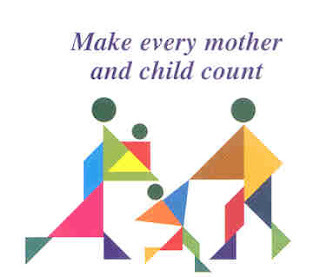 Annually, 700 to 900 women die from pregnancy or childbirth-related causes, and about 65,000 experience life-threatening complications. Women living in the United States are three times more likely than those living in Canada to die from complications of pregnancy and childbirth. Considerable racial disparities in pregnancy related mortality exist. From 2011-2013 African American women in the United States were nearly at 3.5 times greater risk to experience pregnancy related mortality. As a nation with access to some of the best technology and medical expertise in the world, the United States is capable of doing more to improve pre-and post-natal care for all women. Nurses occupy a vital role in the perinatal education, assessment and care. Let’s unite behind legislation that designates the Chief Nurse Officer of the USPHS as the National Nurse for Public Health who will advocate for improved care across the lifespan, including maternal and child care. Across the United States and Puerto Rico, natural disasters from Hurricanes Harvey, Irma, and Maria to massive wildfires burning across the West Coast underscore the need to strengthen disaster preparedness and response. A National Nurse for Public Health would bring the leadership skills, policy background and clinical expertise to work collaboratively to support disaster response. Hurricane Harvey struck Houston and surrounding southeast Texas on August 25, 2017, delivering nearly two feet of rain triggering catastrophic flooding. These floods resulted in nearly 70 deaths, countless additional injuries, tens of thousands of individuals displaced from their homes, and an estimated $80-$100 billion dollars of property damage. Nurses throughout our country have stepped up to respond to Hurricane Harvey. The American Nurses Association has compiled a resource guide to aid nurses in responding to Hurricane Harvey through donations and support. The effects of Hurricane Maria are still being felt in Puerto Rico where officials continue to describe apocalyptic conditions. Many have died due to the total collapse of infrastructure. 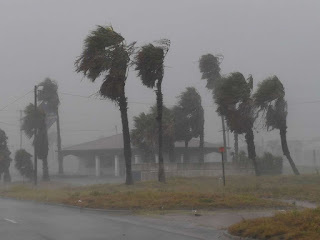 The situation is gradually improving thanks in part to the National Disaster Medical System. RNRN is currently asking for donations in support of an upcoming delegation to Puerto Rico. Any excess funds will be used to support future missions to Puerto Rico and elsewhere, making it possible for RN’s to be on the ground faster, with more aid, and more volunteers. Donations are secure, and tax-deductible to the extent of the law. At the same time that Puerto Rico, Texas, Florida, and other southern states have been coping with hurricane winds and massive flooding, the western United States has been engulfed with raging wildfires. Montana has experienced nearly one million acres of forest fires in the last three months. In Washington and Oregon dozens of fires blaze, resulting in declarations of states of emergency. Further south, a large fire recently burnt through Los Angeles County, threatening swaths of the densely population area. Nurses have a long history of participation in disaster relief. As the largest sector of the healthcare workforce, we can act as powerful community organizers, educators, and advocates in times of greatest need. Strong nursing leadership through a National Nurse for Public Health would help to guide continued efforts in improved disaster preparedness and relief. 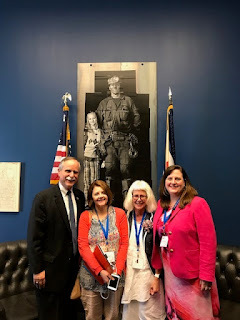 Earlier this year, leaders and members of the West Virginia Nurses Association met to thank Congressman David McKinley (WV-1-R) for co-sponsoring of H.R. 1651 The National Nurse of 2017. Congressman McKinley, whose wife Mary is a nurse, serves on the House Nursing Caucus. He is also a long-time member of the Energy and Commerce Committee.